With the blink of an eye, Chinese New Year came and went. Just like that. I miss the Chinese New Year holidays and the festive mood but mostly, I miss the food!! So today, I will just blog a little about my Chinese New Year of the Goat. By the way, I am too lazy to use my camera these days, so all photos in this post were taken using Xiaomi's Mi3. 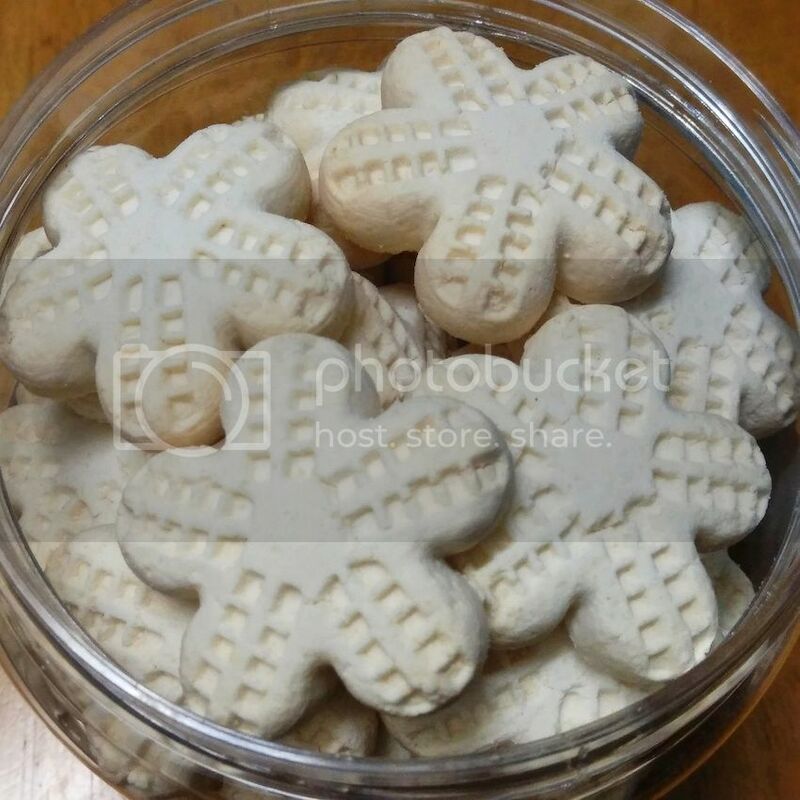 One food I really enjoyed this Chinese New Year was the pineapple tarts which I bought from Aeon Supermarket. Priced at only RM10.88 per tub a few days before the first day of Chinese New Year (it was priced at RM13.88 earlier), I quickly bought loads of them! Look at the generous amount of pineapples! So juicy and so yummy! 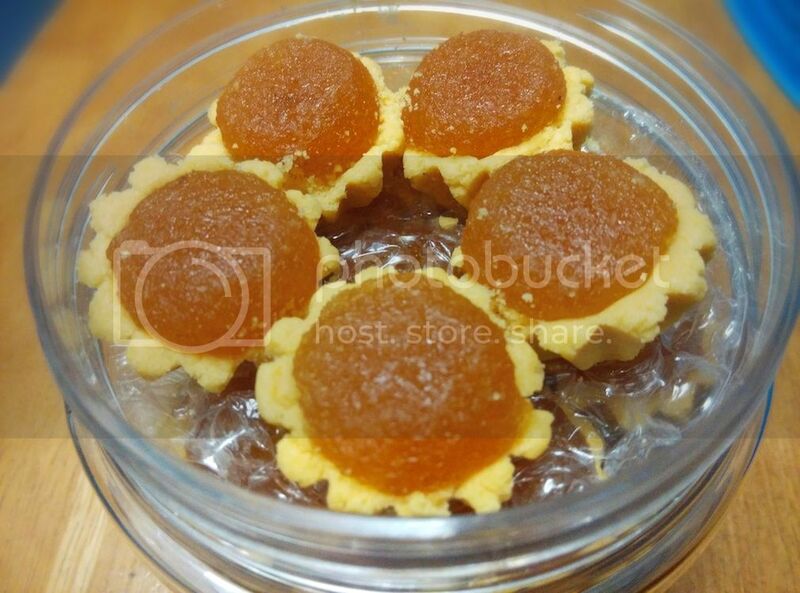 By the way, if you don't like your pineapple tarts to be a mixture of sweet and sour, then you won't like this. But if you do, these pineapple tarts are heavenly! I also bought kuih bangkit from Aeon but unfortunately, even though the price was good (I think it was RM8.88), the kuih bangkit itself was not that good. No melt-in-the-mouth but I still bought it because I like the cute shape and design! LOL. This year, I had my fair share of the scrumptious yee sang at many different Chinese restaurants, but guess what? 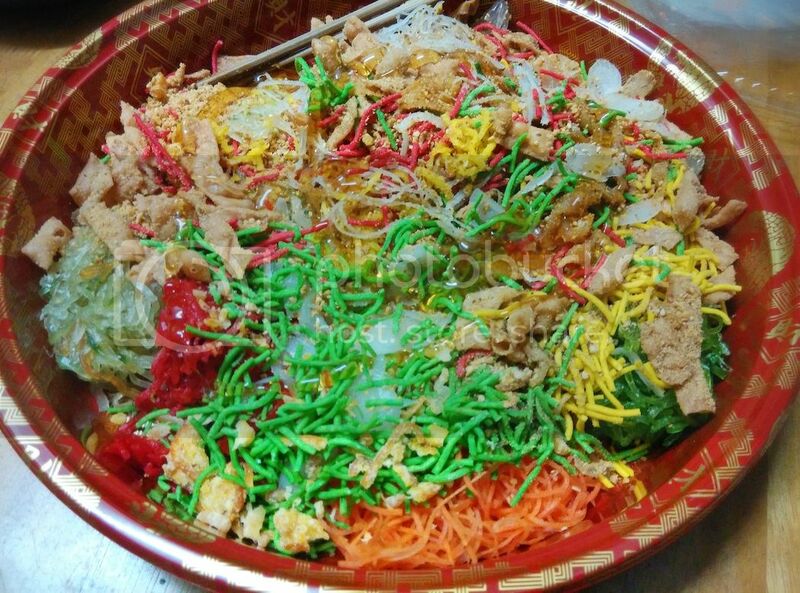 It was quite unbelievable, but none of them was as good as the yee sang I bought from Aeon! 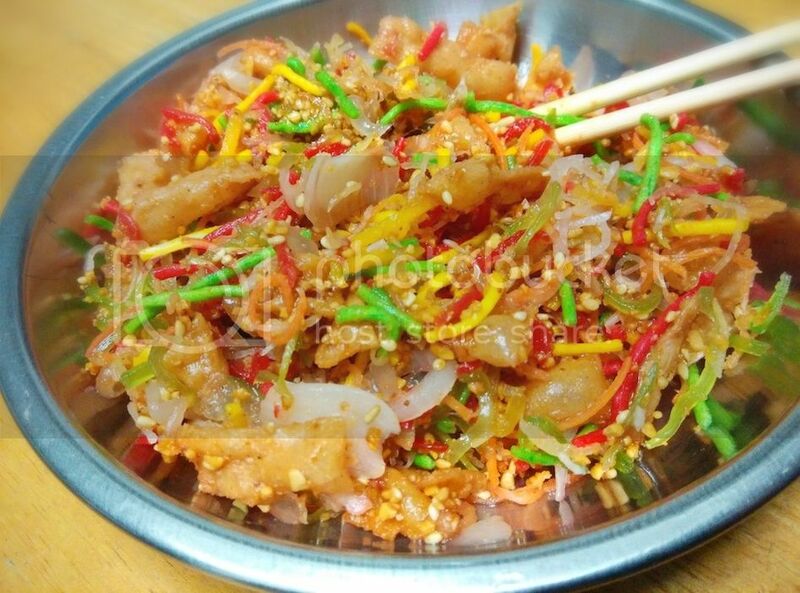 The generous amount and variety of fresh ingredients made the yee sang from Aeon my top favourite for the year. So yummy! By the way, if you can't see any fish in this yee sang, that's because I did not want to include raw salmon inside. I have stopped eating raw salmon since last year for health reasons. Now it may seem as if I am promoting Aeon, but in reality, I am not. It just so happens that I like their pineapple tarts and yee sang a lot! Haha! 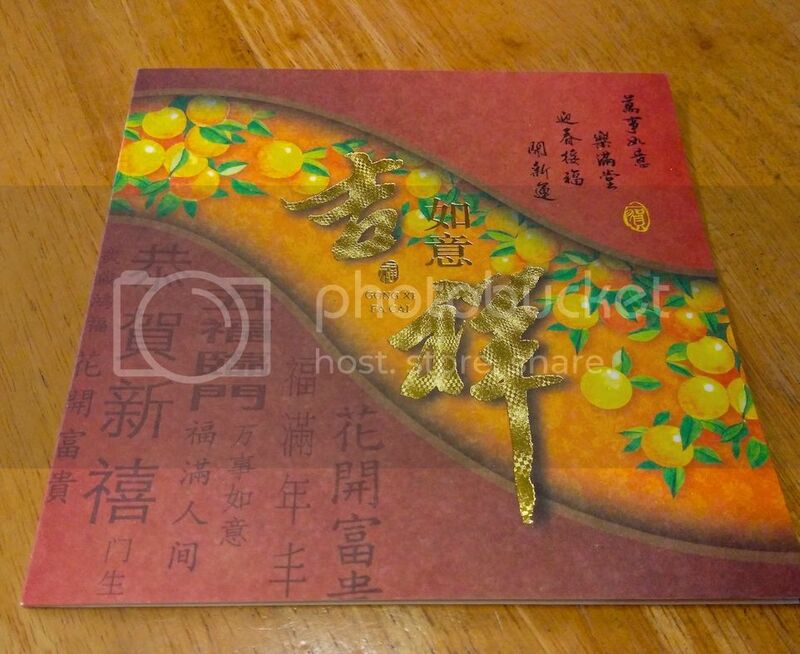 A few days before Chinese New Year, I received a Chinese New Year card in the mail. I don't receive many cards nowadays (most people prefer to just send CNY greetings via Whatsapp) so I was curious to know who sent this. Opening it up, I saw that to my surprise, it was from Twilight Man! 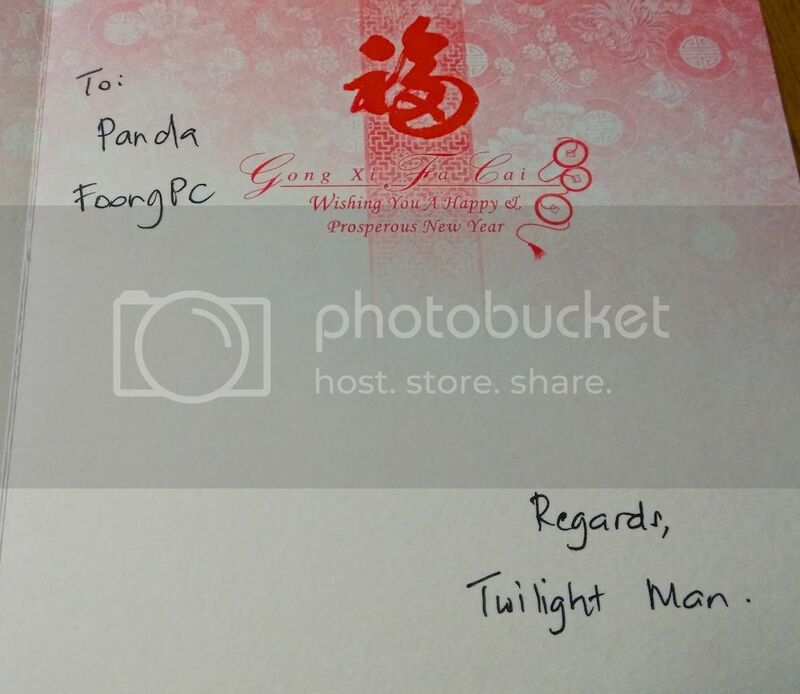 Thank you Twilight for this nice card! Sorry can't send you a card in return - it would probably reach you after the Chinese New Year so it does not make sense for me to send. A few years back, my blogger friend Merryn Tan made me an angpow fish. I wanted another one this year so she made me one. 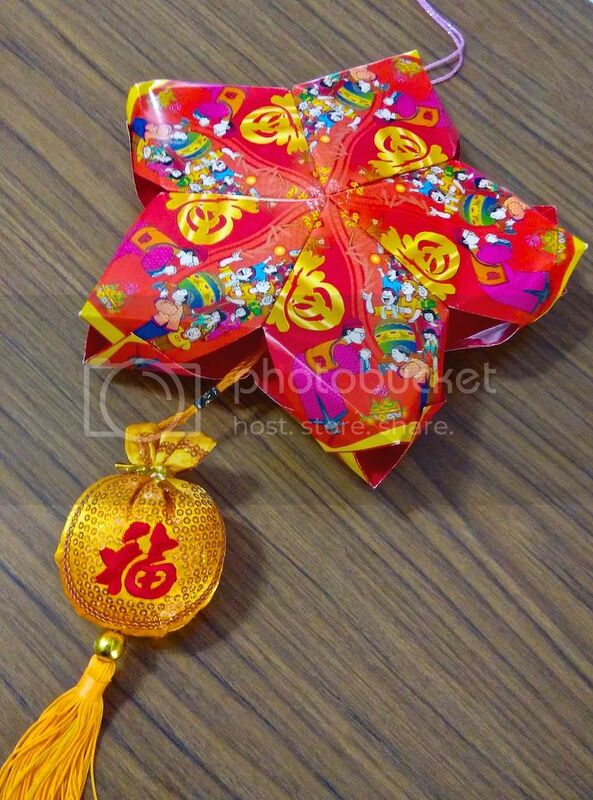 In fact, I requested for two angpow fishes, but she said she ran out of angpows, so she made me an angpow star instead. Do you like it? Thank you Merryn for the angpow fish and star! 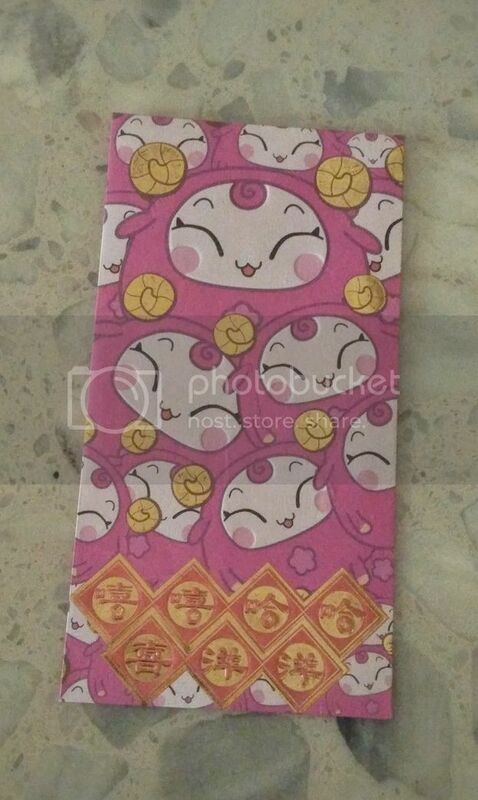 Next year, I want a real angpow with money inside! Hahaha! Another online friend Angeline Chee sent me some angpow fishes as well, all the way from Taiping! How nice of her! When I opened up the parcel, I was surprised to see this. For a moment I hoped it was from Coach. But of course I did not expect anything expensive inside. LOL! 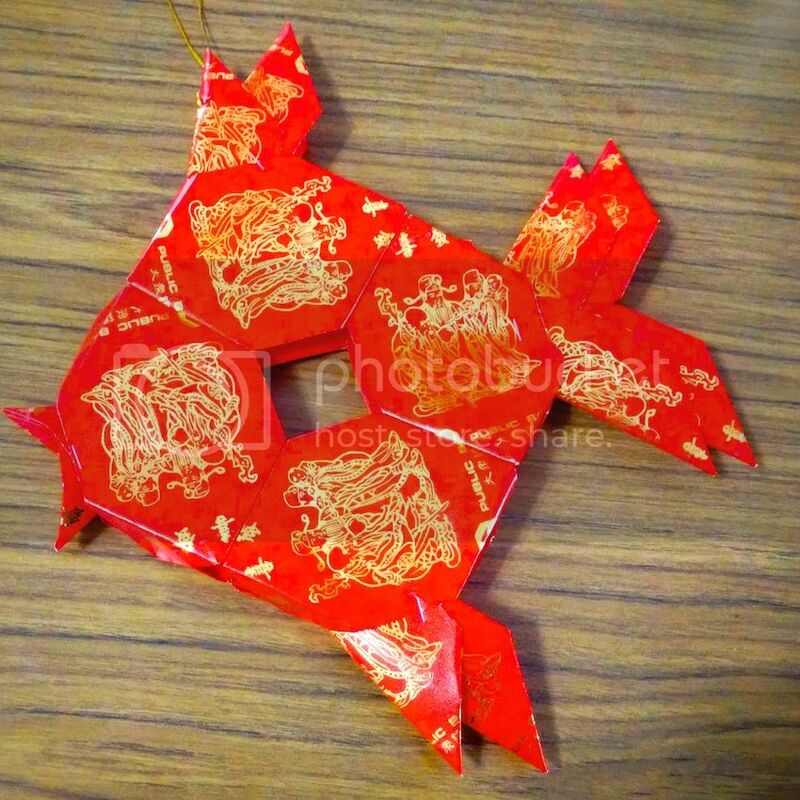 These are the angpow fishes she made for me. 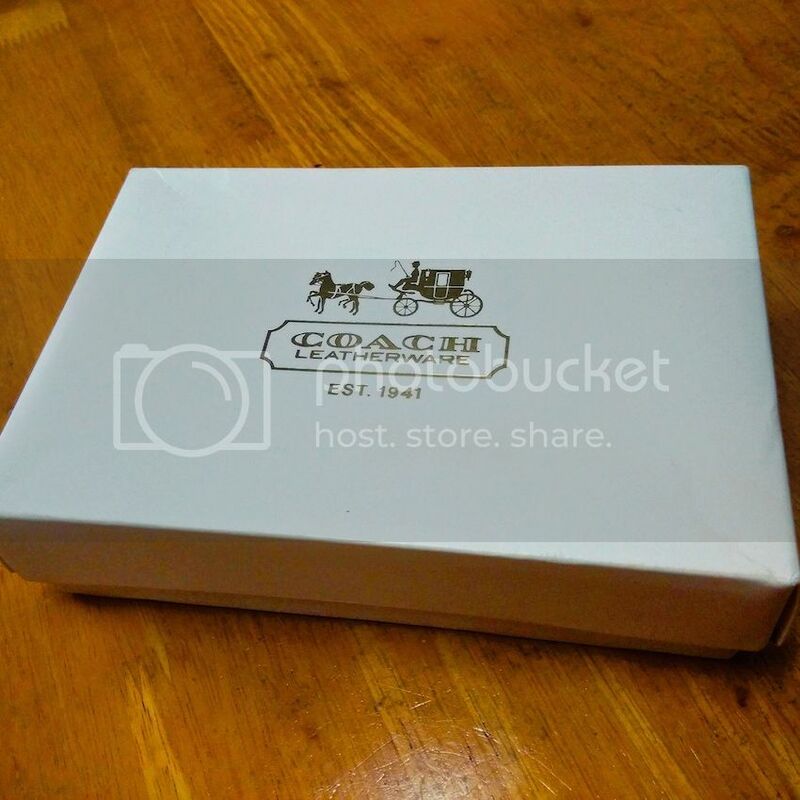 Thank you Angeline for the awesome packaging! I like receiving angpows! Who does not? Every year, Astro likes to come out with interesting angpows. 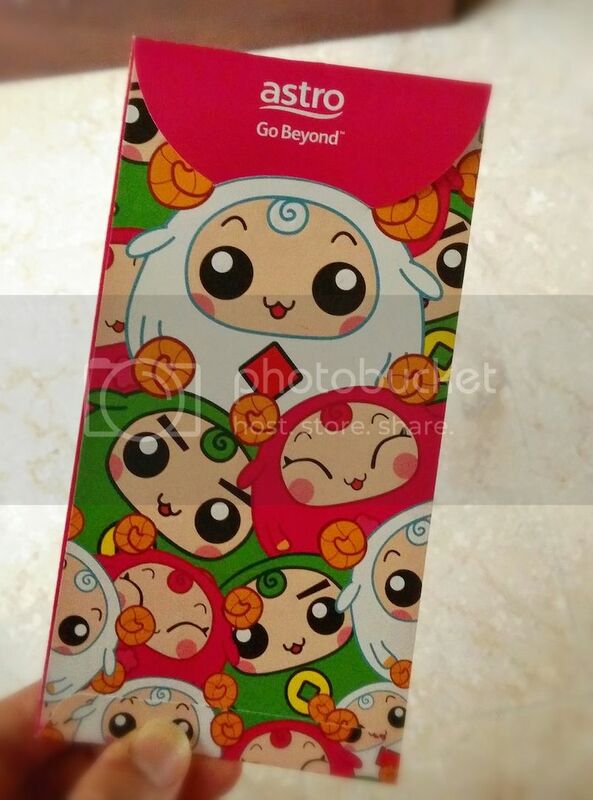 This year being the Year of the Goat (or Sheep if you prefer), Astro came out with these cute looking angpows. Do you like them? I am keeping them as collector's items. I plan to collect them every year so that I will eventually have all 12 animal signs! 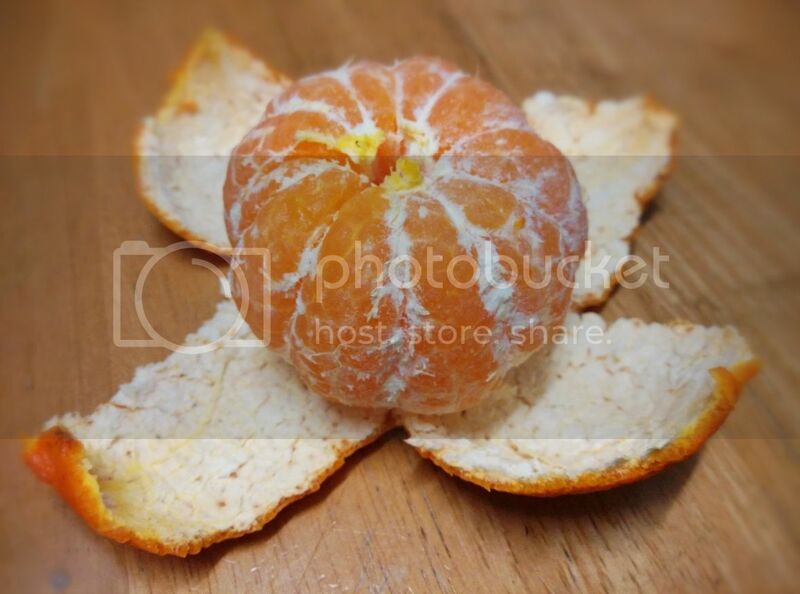 How many Mandarin oranges did you eat this year? I did not eat a lot as I think these oranges are pretty unhealthy. Yes, it's true - not all fruits are good for you! But no matter what, do not throw your Mandarin oranges into the river or sea. Such a waste, no? Better to eat them I say. Haha! Gosh, I am missing the Chinese New Year already!! 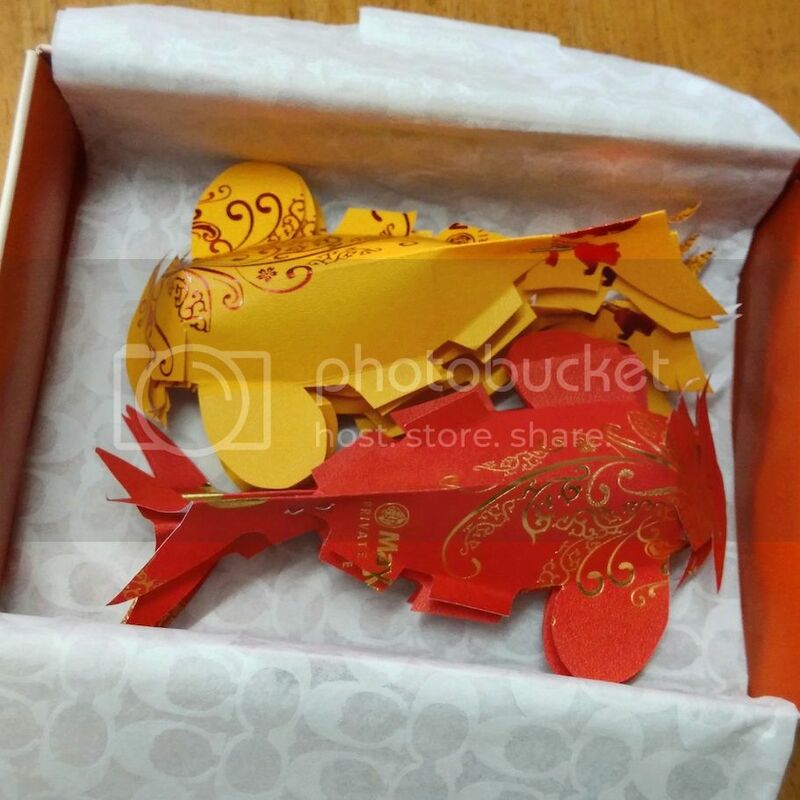 Blogging about Chinese New Year makes me miss it even more! Oh well, you just have to move on and look forward to the next Chinese New Year of the Monkey! Time For A Holiday Break!